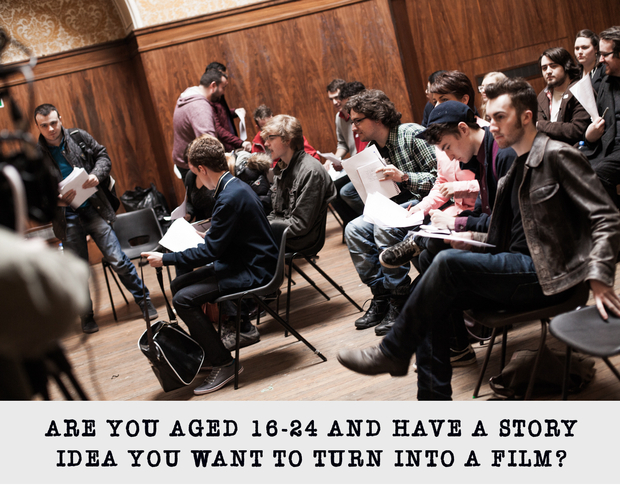 Film City Futures is running a free screenwriting course for young people aged 16-24, starting Saturday 29th October. We would appreciate it if you could share this information with any people who may be interested, as well as circulating the link and flyer through your networks. STORIES FOR SCREEN takes place over three sessions, teaching participants about screenwriting techniques and offering professional guidance as they develop a short film script. The course will be held at Film City Glasgow, a centre for the screen industries in Scotland, and led by award winning writer and director Adrian Mead. Applicants should apply by 9am on Monday 24th October, by emailing a brief paragraph outlining their story idea and contact details to admin@filmcityfutures.com. Everyone who does this will be accepted onto the course – all we ask is that they commit to attending all three sessions and developing their script in between. Further information can be found at tinyurl.com/storiesforscreen and we would appreciate it if you were able to share this flyer (see attachment) with potential candidates. If you have any questions about this course, or would like further information on Film City Futures activities, please reply to this email or contact Sophie Crabb at sophiecrabb@filmcityfutures.com.